I had always been a science and language girl- hence my degree goals of double majoring in Spanish and Biology, but in 11th grade, I took an art history class that changed the way I thought about school and learning. I finally understood that it’s not a specific class I love but the learning process. However, I also found I have a huge appreciation for art. Please do not confuse that with an ability in the arts. I have no artistic ability whatsoever, but I greatly appreciate it and found I love to learn about art’s connection with history and culture. Today, I lived an art history nerd’s dream. 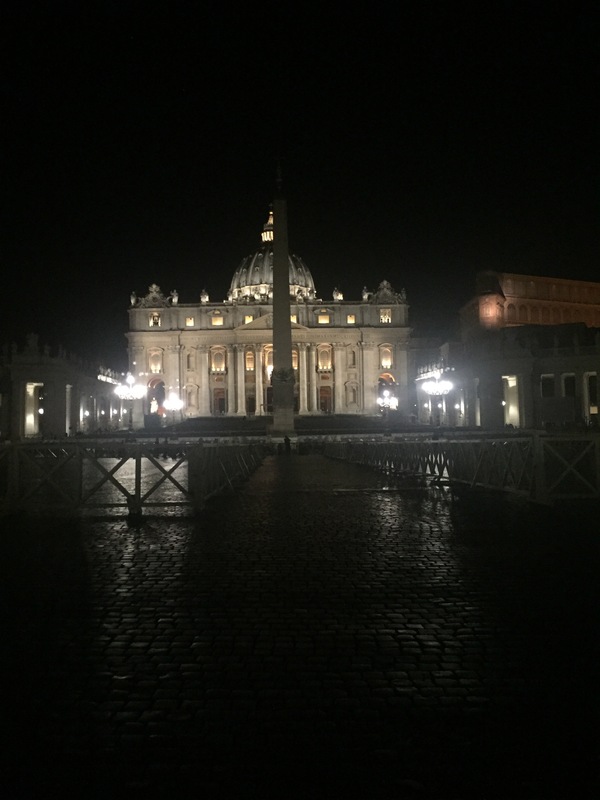 We went to our fourth country of CR, Vatican City. And our tour guide was none other than the lovely Olga. 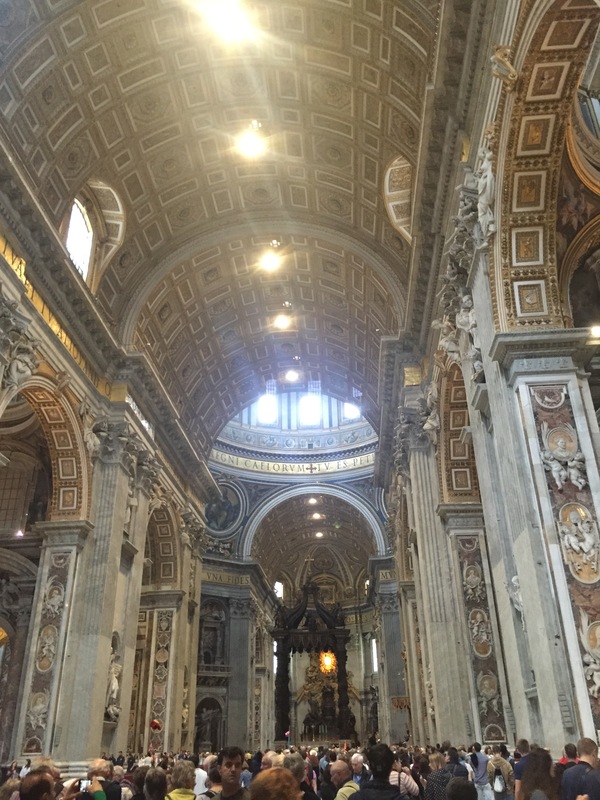 We visited the Vatican Museum, the Sistine Chapel, and St. Peter’s Basilica. There was so much magnificent art; my mind had a hard time comprehending that someone spent hours, days, years crafting these works that I had studied a few years ago and had the opportunity to see today. It was unreal. This trip has built upon what I learned in that 11th grade art history class. I value even more now the process of learning because I have been able to learn through experience rather than from a textbook. It was one thing to learn names and dates of artists and periods and works, but walking through the Vatican today took things to a whole new level. I was in awe all day, and I was energized by the people and sights around me. My favorite part of the day was St. Peter’s. It is HUGE! It made me feel so small, but we all need to be reminded every so often that life is so much bigger than ourselves. 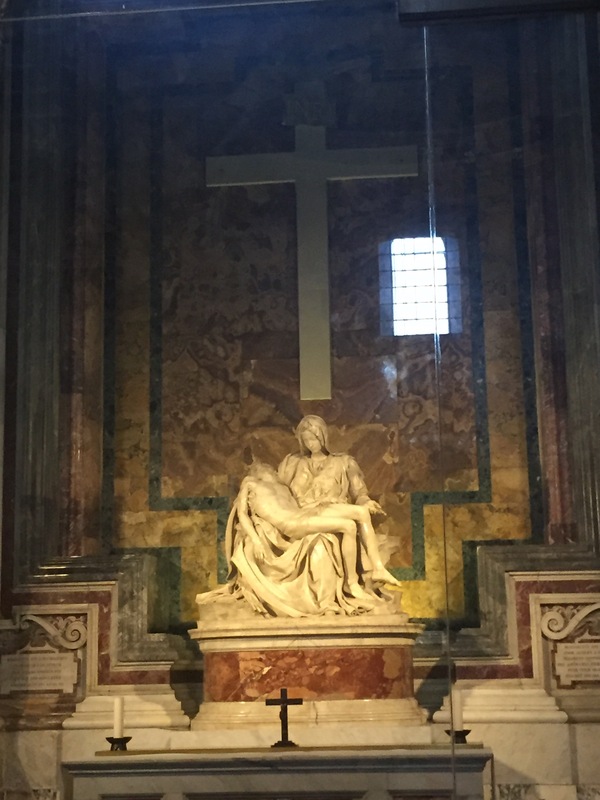 We saw the bodies of Pope’s embalmed, statues by Bernini, and amazing paintings that had been turned to mosaics to avoid destruction by the humidity of Rome. Olga, was wonderful, yet again. She was a wealth of knowledge, rattling off answers to almost every one of my trillions of questions. By the end of the day, I wanted to be her, again. She offered us a unique perspective, and she was the perfect guide for our group in that she was funny to keep everyone engaged and knowledgable not only on what we saw and its history but also on how to relay her information to us, who had very little background in this area. What a magnificent lady. I enjoyed walking and talking with her this morning. 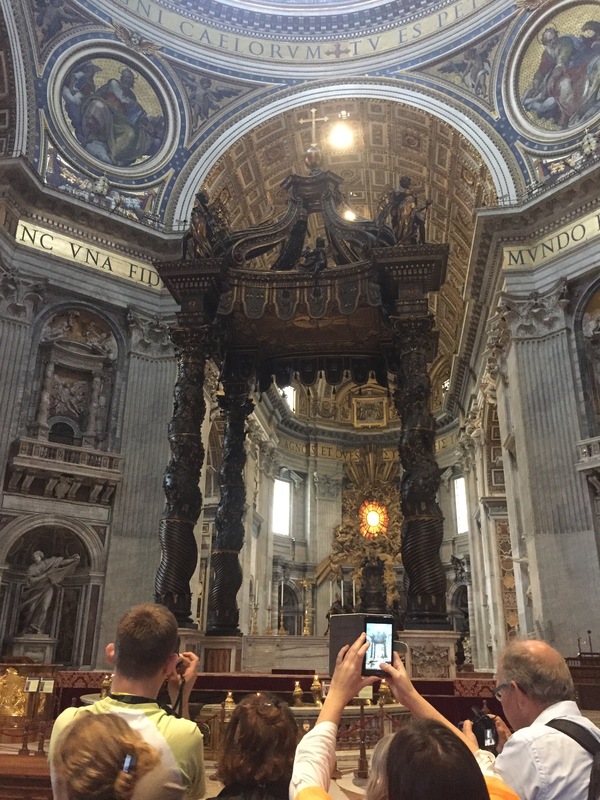 Today’s experience was one I have wanted since I saw photos of the Vatican three years ago. It was greater than I ever could have imagined not only because of the overwhelming beauty but also because of the people with whom I experienced this wonder.